Mikey Brooks is a small child masquerading as adult. On occasion you’ll find him dancing the funky chicken, singing like a banshee, and pretending to have never grown up. He is the author/illustrator of several books including BEAN’S DRAGONS and the ABC ADVENTURES series. 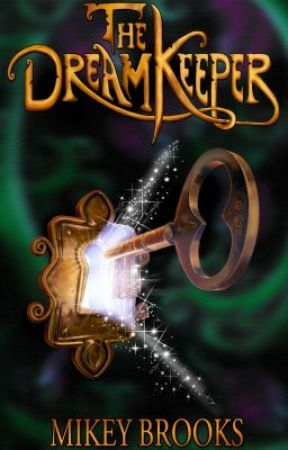 His middle-grade fantasy, THE DREAM KEEPER, comes out June 1st 2013. He spends most of his time playing with his daughters and working as a freelance illustrator. Mikey has a BS degree in Creative Writing from Utah State University. He is also one of the hosts of the Authors’ Think Tank Podcast. You can find out more about Mikey and his books at http://www.insidemikeysworld.com/ or visit his Amazon author page at: http://www.amazon.com/Mikey-Brooks/e/B00B8ICZ4W on Goodreads at: http://www.goodreads.com/author/show/6583458.Mikey_Brooks on Facebook at: http://facebook.com/writtenbymikeybrooks on Twitter as @writtenbymikey or check out his blog at http://writtenbymikey.blogspot.com/. You can also email Mikey at: insidemikeysworld(at)gmail.com.